We repeat the old chart from Jan 10, 2016. 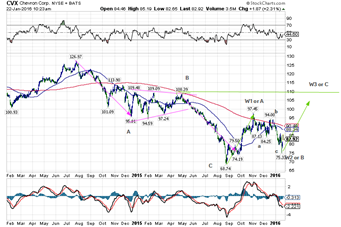 At the time, roughly 10 days ago, we stated that we would prefer to see the stock drop below the low of the A wave. It got to $35.95 yesterday so that does the trick for now. One can never know for sure but even if one more move down were to occur, the rebound minimum target would still be at about $56 or so. 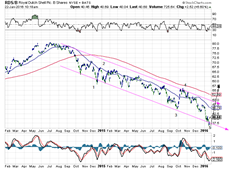 Therefore this is a low risk entry point. 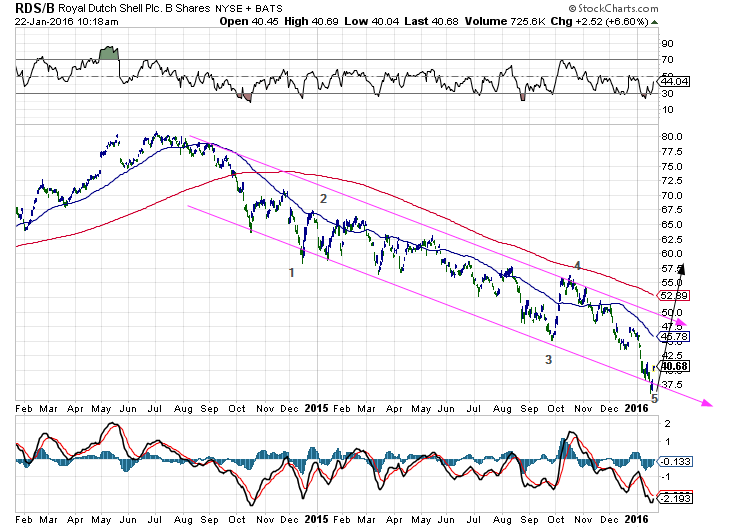 CVX, Chevron already has a first wave up which has recently corrected about half way. 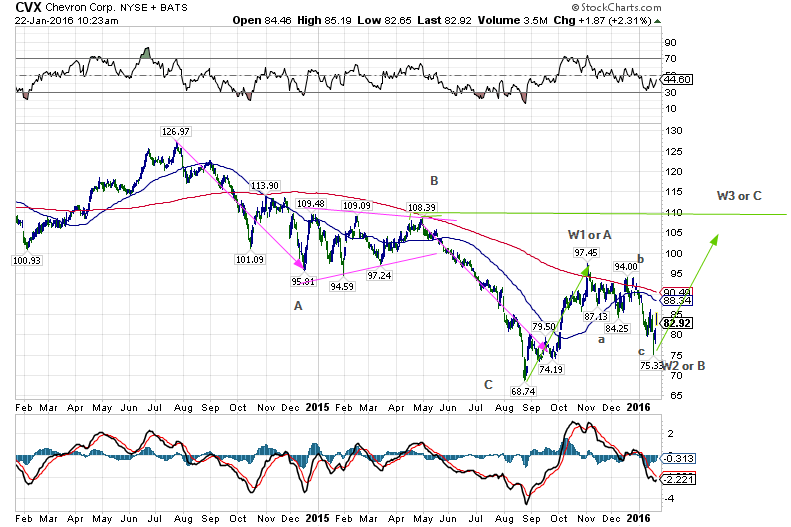 The next leg up, regardless of whether or not it is in a correction , should take it much higher, closer to $110. The big question now is the spurt up today due to yesterday’s roll-over of the future contract from Feb. to March , or Mario Draghi’s ramblings about there being no limits to what they can do and similar talk in Davos, or neither, just the waves.